Cruset Body Lotion 350 ml. ครูเซ็ท บอดี้ โลชั่น 350 มล. with Queen’s Flower & Oriental Orchid and Multivitamin. with White Pearl, Glutathione and Berries. 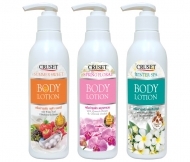 J0050350C100U00 Spring Floral Body Lotion 350 ml. 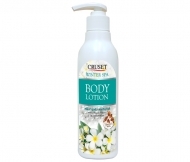 J0060350C100U00 Winter Spa Body Lotion 350 ml. J0070350C100U00 Summer Sweet Body Lotion 350 ml. 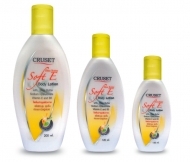 Cruset Shea Butter Soft E Body Lotion 80, 120 and 200 ml.